For years, braids have been my go-to style of comfort for every season, especially the spring and summer. Before I even knew it to be a protective style, I was protective styling for my life! Being a student didn’t leave me with enough time or energy to wear my hair out like I would’ve liked, so box braids became my styling go-to. Wearing the style so frequently over the years -- up to months at a time at least -- allowed me to perfect my braid maintenance method. People would constantly walk up to me asking if I’d just gotten my hair done (even when I knew I was in desperate need of a redo). The trick was in the way I maintained my braids while they protected my natural tresses. While I know everyone has their own routine for box braids, I’m going to provide a few of my favorite tips and tricks for keeping my braids fresh and nice-looking for a prolonged amount of time. My number one tip is making sure your scalp is properly moisturized! You can’t expect for your hair to flourish underneath if you are not properly caring for your scalp. 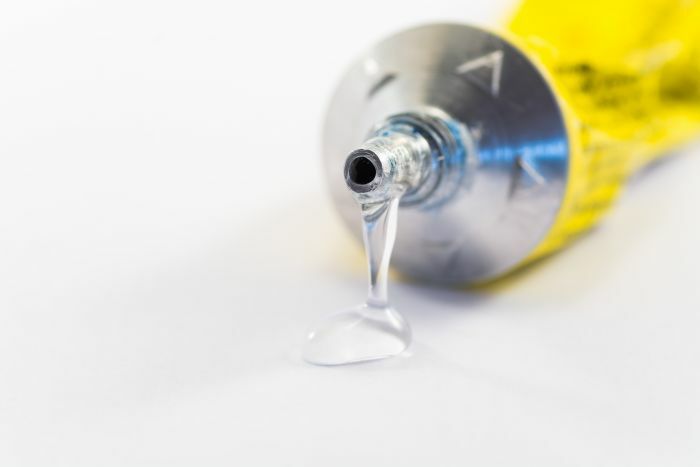 Be sure to pick an oil that your scalp loves and moisturize along your part lines every day or at the very least, every other day. Also, remember to pick up a proper braid spray to make things easier and use the oil to seal in the moisture. While coconut oil and Jamaican Black Castor are my go to’s, these items are totally up to you. You can pick up an array of braid sprays at your nearest beauty supply. There’s nothing I hate more than unraveling ends on box braids -- especially when they are long. While some people will just continuously re-dip their ends to keep them from coming undone, I prefer a little bit more reinforcement when it comes to braid maintenance. So as an extra step, I like to have my braids braided down as far as possible, and dab a little bit of glue to seal off ends. You can use either nail glue, krazy glue, or super glue, but the point is to keep your braids from coming undone so you don’t have to constantly dip them over and over again. This also keeps them looking a little bit fresher and maintains some uniformity. Along with moisturizing, re-dipping my hair with hot water keeps my braids looking laid and fresh. It depends what brands of hair you use, but if you’re a “2 for 5 synthetic pack” girl much like myself, after a certain period of time, you can notice that your ends can start to look a bit matted and tangled. To combat this I like to brush out the ends with a hard bristle brush and them dip them once a week, preferably on a Sunday to start my week anew. Once I’ve dipped them and dried them with rag or towel, I’ll brush out the ends once more while they’re still wet to make sure they’re completely untangled. If you’ve glued the ends, it won’t affect your braids at all while dipping, but will simply ensure longevity. This tip will have the ends of your braids looking fresh, slick and brand new each week. Now ladies, I know that box braids are a get-up-and-go, hands-off kind of style, but you must tie your hair down. I know it's easy to get a little bit lazy about this, myself included, but it is an important maintenance tip for longevity. Wrapping with a silk or satin scarf while you sleep not only keeps your edges laid, but keeps your parts intact without getting fuzzy immediately. Make sure you’re remembering to tie down your hair just as you would even if it wasn’t braided. There are also special scarfs and night time head gear made especially for braided and twisted styles, so check out your options at your favorite beauty supply or online. Sometimes you don't have to redo your entire head to look fresh and laid. During the time that we want to remain hands off with our hair, we’ll need a bit of a touch up without having to take our hair down completely. Once your style hits the halfway mark for maintenance, a little secret of mine for upkeep is just having the front and perimeter redone. It’s a quick and easy way to maintain the look and parts without all the work of a complete take-down and redo. Once you’ve taken down certain sections that you want redone, twist them up to keep the parts intact. This saves you time and money when it comes to longevity with your style. Whether you have your braids in for 3 weeks or 3 months -- don’t go past this point, sis! -- try out a few of the tips I’ve suggested above and feel free to share some of your own box braid maintenance tips below. 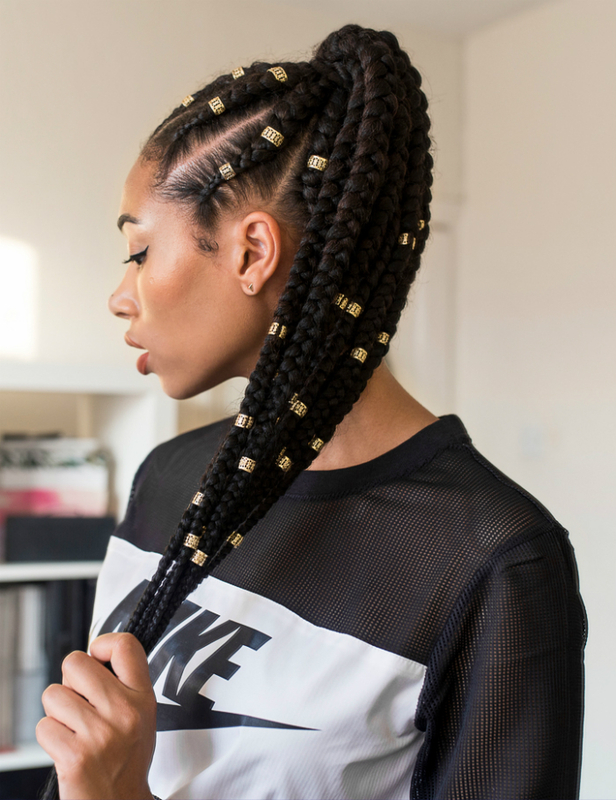 May these tips help your braids stay fun, easy and laid all summer long. Read Twist-Outs vs. Braid-Outs: Which is Better Than the Other?